Home / SHOP / Limited edition prints / It’s a knockout! Bish! Bash! Bosh! 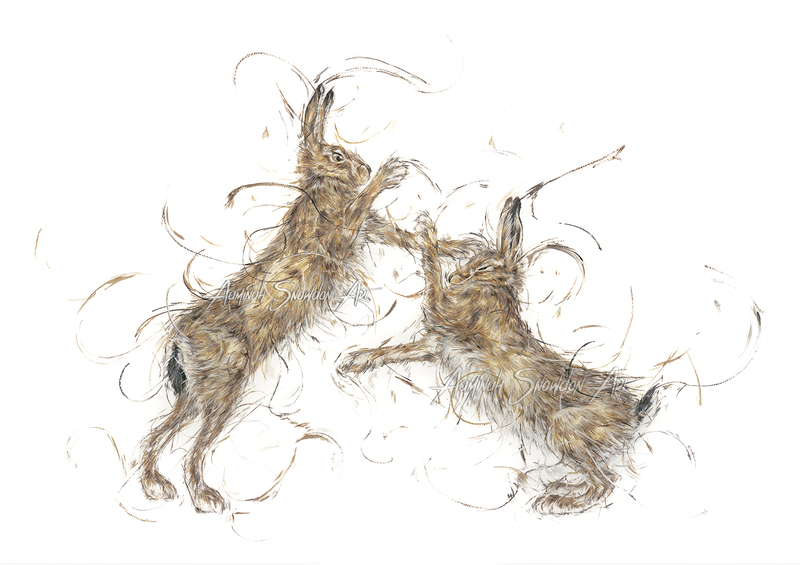 These boxing brown hares are having quite a scuffle and with that clever overhand move, we have a winner! Based on 2 original photographs by professional photographers Charles Joseph and Paul Sawyer.